Israel is stepping up security ahead of the opening on Monday of the new US Embassy in Jerusalem. Dozens of foreign diplomats are expected to attend, though many ambassadors of European nations who oppose the move will be boycotting the event. But Hungary, the Czech Republic and Romania are expected to send representatives. Israel's Prime Minister welcomed the move. "I call on all countries to join the US and move their embassies to Jerusalem,'' Benjamin Netanyahu said. ''Move your embassies to Jerusalem because it advances peace." 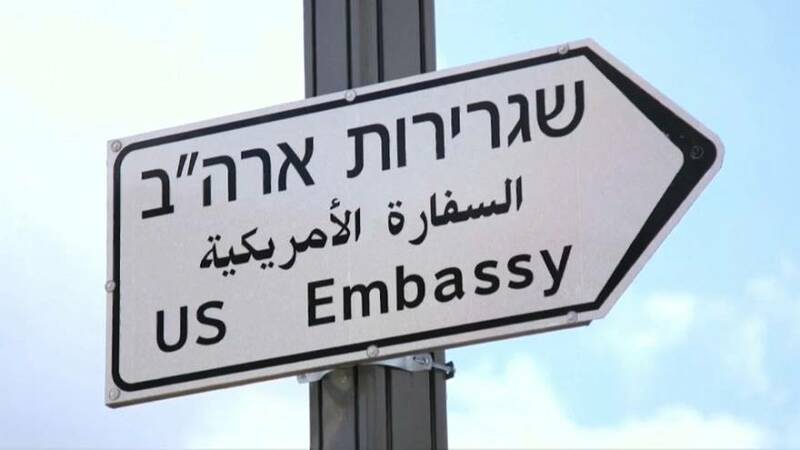 Most countries have traditionally kept their embassies in Tel Aviv rather than the contested holy site of Jerusalem. There are fears the move could trigger a new wave of violence. Dozens of Israelis and Palestinians gathered in Jerusalem on Saturday to protest. Israel's government regards Jerusalem as its eternal and indivisible capital. Palestinians want east Jerusalem as the capital of their future state.